Many of us invest money in a 401K, an IRA, or have a broader investment portfolio. When it comes to making money for ourselves, it seems natural to diversify where money is going to make the biggest impact by increasing your savings. But you also don't want to lose it all due to one bad stock. So what would happen if we applied this investment strategy to your business and how you manage your carriers? In this post, we will look at some of the fundamentals of how investment strategy and carrier strategy can be aligned. This will help your business benefit from your carrier plan as part of your overall shipping strategy or operations strategy. Read on to learn more about creating your carrier portfolio. What is a carrier portfolio strategy? Since we're comparing this to an investment strategy, let's first look at the definition of portfolio management. Investopedia writes that portfolio management is defined as the art and science of making decisions about investment mix and policy, matching investments to objectives, asset allocation for individuals and institutions, and balancing risk against performance. Investopedia makes clear to point out that this is a very specific definition of management in the investment context. But when we apply this to carrier strategy, it's very much the same. The big difference for many companies is that they have never thought about working with carriers this way. Historically, companies have chosen carriers one at a time, negotiated rates, and generally made few major changes unless a carrier new rep came in with a great sales pitch. At Pacejet, we encourage our customers to take a different approach and look at carriers strategically. Most companies we work with need to optimize for a number of things from dependability to cost and more. Let's look at how this breaks down when using the definition of portfolio management. We've written before about how to pick a shipping carrier. In this article, we mention that most companies have 2-3 carriers, but we recommend 5-6. Why? This allows you room for at least two national carriers and 3-4 regional carriers or specialty services. Having a blend like this will give you maximum flexibility in dealing with customers and your distribution partners. Setting up a balance of carriers lets you diversify any way you see fit, and to change as quickly the market demands it. This is all about diversification, which we'll discuss in a minute. One thing not to forget from the definition of portfolio management is that the mix goes hand in hand with the policy. So, what's your reasoning behind the kinds of carriers you will and won't work with? What are the minimum criteria across the board for a carrier that wants to work with your company? How much are you willing to "bet" to try a new carrier? Setting these ground rules will help make sure that no one pursues a relationship that is a waste of time or money. The good news is that with rate-shopping, the financial risks are more visible, so you can turn on a carrier and see how they might work with your business without spending a lot of unnecessary money. It's helpful to realize that there are multiple options and one carrier doesn't have to cover everything. 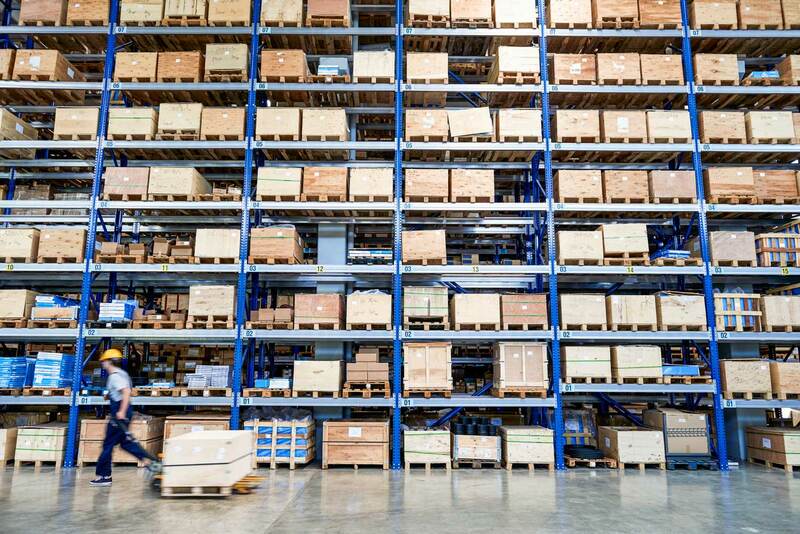 If you would love only one relationship to manage, a 3PL may be the way to go. Otherwise, it's OK to have several goals, just make sure to know the level of risk your company is willing to take on and how the carrier's success will be measured over time. This is a natural question, but it really depends on the business. To make this decision, you will need to know what things are most important to the company and what you're willing to give up to get those things. For instance, are you willing to pay more money for less management burden? Or are you willing to take on managing more carriers for the opportunity to get your packages to their destinations a day earlier, beating your closest competitors by a day? Just like investing, you can create an aggressive or a conservative carrier mix. It depends on your risk tolerance and how close you are in the market to your competition. If you need to distance yourself from your closest competitor and you've already lowered your prices, a small bump from a high-quality, low-cost regional carrier may be what you need. Remember to proceed with caution and test (or rate-shop!) often. We've heard it before. Companies don't think they need more than one or two carriers because they are already getting the best rates. Or their packages are already getting there the fastest they can. Until you utilize an enterprise shipping platform like Pacejet and turn on multiple shipping carriers to compare rates and delivery times, you really don't know how good of a deal you're getting. We had a customer who was certain they were getting the best deal renegotiate their rates on day three with their carrier--simply because they turned on rate shopping, found out other carriers had consistently better pricing, and shifted their volume. Obviously, we can't guarantee you that a diversified carrier strategy will save you money & labor and increase satisfaction. But we can tell you that for many other customers, they have experiences these types of results from using Pacejet. Catch a sneak peek of a customer story that highlights the real business implications of carrier choice, along with the other benefits they have seen from working with Pacejet.